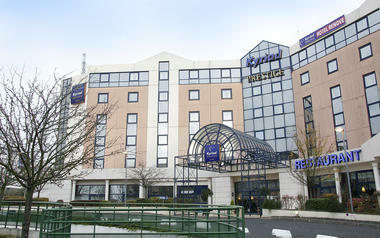 Kyriad Roissy is a high standard hotel located close to the Charles de Gaulle Airport and the Villepinte Parc. 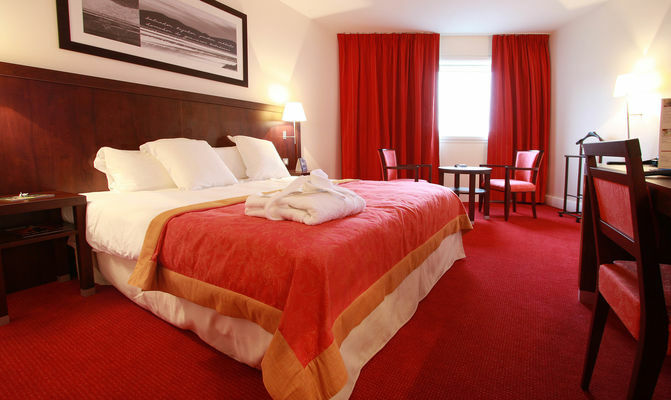 In a modern and functional atmosphere, its 78 rooms, all soundproofed with over 66 television channels, have free wifi. Upstairs" "Executive" "are available free of charge, mineral water, minibar and Nespresso coffee machine. With a space of 250m² modular seminar rooms according to your wishes, a lounge bar area to relax throughout the day and evening and a restaurant, "" La Brasserie "" reinventing its cuisine taste of the seasons, the hotel reception you 24h / 24. There is no review about Hôtel Kyriad Roissy Villepinte - Parc Des Expositions, be the first to leave one !